Raven Felder Commits To Averett University! Senior dual-sport student-athlete, Raven Felder, has announced her commitment to Averett University! Raven is a 4.0 student-athlete playing soccer and lacrosse. 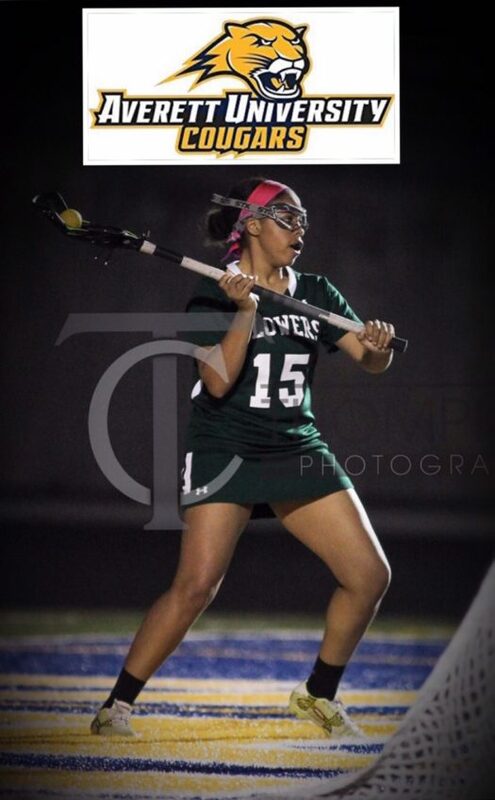 She has been paling lacrosse for 5 years before starting taking it serious her sophomore year of high school. She began training with various college players and different talented players around the state. Doing this helped her develop her level of play to that of a college student-athlete. Colleges began reaching out to her, all inquiring about her talents , because they felt she would be a great fit in their respective programs. Raven is going to major in Biology/Sport Medicine and it was imperative that the schools that were recruiting her had this program and had a lacrosse program. 3 schools that met the criteria stood out to Raven : Averett University, Hendrix College, and Mount Aloysius College. Raven decided to attend Averett University. I was able to speak to Raven about her college decision! Raven : “I chose Averett University because it was a right fit for me as a student athlete. They understood that academics come first and lacrosse second. After visiting the school, players and coaches they showed me the diversity that the university had and the possibility that it showed”. We would like to wish Raven goodluck on her commitment and future education! Go Jags!